As part of Make Up For Ever's new #BlendInStandOut campaign, she hopes to push the boundaries of traditional beauty standards. In 2016, the internet discovered its latest obsession: a drop dead gorgeous woman by the name of Khoudia Diop. You've probably heard friends refer to her as the "Melanin Goddess," or seen photos of her deep ebony skin sprinkled throughout Instagram. The up and coming model is also a part of "Colored Girl" Project, a viral campaign that celebrates every shade of Black beauty with breathtaking pictorials. Needless to say, Diop's status as an Insta-star went from 0 to 100 real quick. And now she's using her platform to promote self-love to the masses. As part of Make Up For Ever's new #BlendInStandOut campaign, she hopes to push the boundaries of traditional beauty standards and encourage others to "create their own rules of diversity. ""For me, it's more than just a product, it’s the idea behind the product!" the Senegalese beauty tells ESSENCE. "There are so many types of beauty that all deserve to be celebrated." 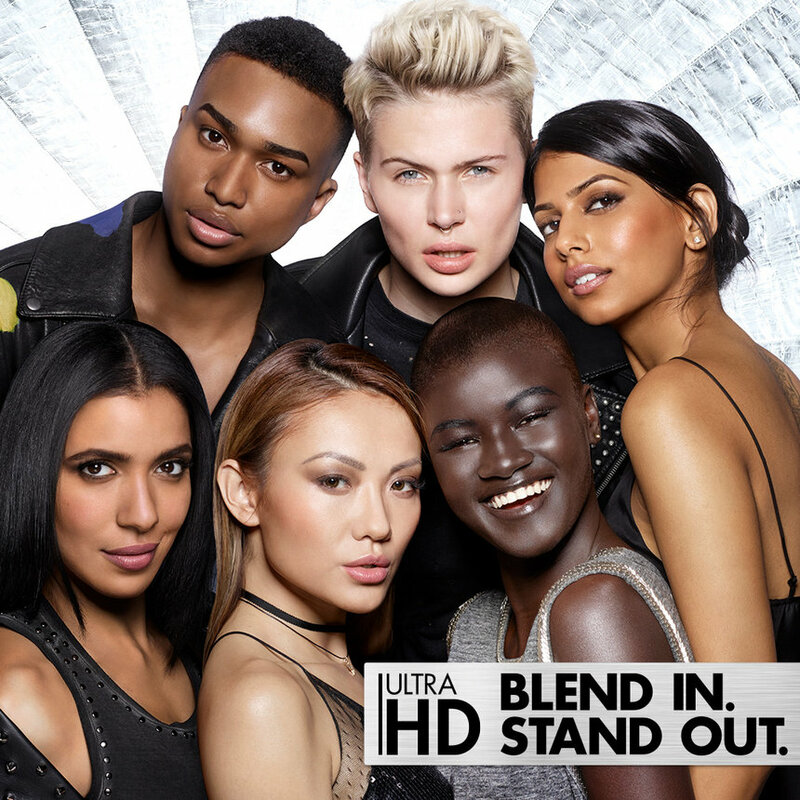 Foundation campaigns rarely feature women with dark skin, but Make Up For Ever remains one of the few that promote inclusivity with its products and advertising. And Diop's participation speaks volumes about its efforts to make sure that there's truly something for everyone. She adds, "Personally, it was always very difficult to find complexion products that match my shade. Make Up For Ever has foundation options that work for me, and everyone." So much so, that today, she counts the Ultra HD Invisible Cover Liquid Foundation (her shade is R540! ), the Skin Equalizer and Ultra HD Skin Booster as part of her daily routine. Counting Lupita Nyong'o and Michelle Obama as her beauty icons, Khoudia's ultimate goal is to create an iconic legacy that includes helping others and of course, living fabulously. Thanks to a monstrous Instagram following and this new campaign, she's well on her way to reaching that goal. In fact, her anti-bullying stance for the #BlendInStandOut campaign is partly inspired by the not-so-nice parts of maintaining a heightened social presence. "There are still people who make comments occasionally, but they’re in the minority," she said. "Most of the response has been and is hugely positive. For those who feel the need to be bullies, I ignore them. Negative energy is wasteful. As Michelle Obama said, 'When they go low, we go high.'" Always stressing the importance of inner beauty and empowerment, Diop only hopes to inspire the supporters who may have gone through the same hang-ups she experienced as a kid. As for the advice she'd give her younger self, Khoudia says, "I would tell her to be more patient, and spend less energy on bullies, although it is very hard keep in mind that they just want to glow like you!"